The juggernaut Law & Order franchise has been reduced to just one series with new episodes, but Law & Order: SVU is definitely still going strong. A major appeal of the show from the beginning was the balance between characters and cases. The show is now in its 17th season on NBC, and almost all of the original cast members are gone. 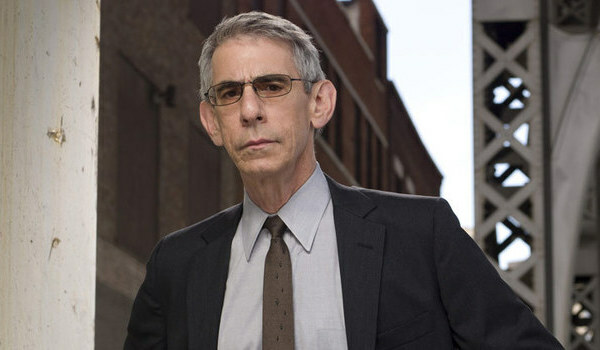 As it happens, however, one actor will be returning to his role as an SVU detective, as Richard Belzer will once again play John Munch in an upcoming guest appearance. Richard Belzer was never exactly the huge star of Law & Order: SVU, but he did manage to bring a lot of the much-needed humor to a show that regularly features some incredibly grotesque subject matter. After all, in the criminal justice system, sexually-based offenses are considered especially heinous. Munch could usually be counted on to bring some laughs along with the effective detective work, so EW’s news that Belzer will be reprising the role is definitely a reason to be excited. Munch retired from the Special Victims Unit back in Season 15, but a case from his past will be enough to bring him back into the action for one more go. A model will come forward to claim that a certain fashion photographer preyed upon her. Munch and longtime partner Fin had suspected the photographer of wrongdoing but had never been able to prove it. Munch’s knowledge of the suspect should make him invaluable to the investigation. Richard Belzer’s guest appearance will reunite him with Mariska Hargitay, who is currently the only regular cast member who has been on SVU from the beginning. Ice-T is still around as well, but he only joined the show in Season 2. On the whole, seeing Munch, Benson, and Fin together in an episode once again should be a blast from the past in the best way. The return of John Munch isn’t the only major return in Season 17. B.D. Wong reprised his role of psychiatrist Dr. George Huang for a guest spot last November. Now, if only SVU could get Christopher Meloni to come back for an episode every once in a while instead of saving him for a series finale. Given that Meloni recently debunked the rumor that he would be back in the precinct in the near future, we’ll have to content ourselves with only some of the old guard reuniting in “Fashionable Crimes." Belzer won’t be back on our screens as Detective Munch until that episode airs this May, but the current cast of Law & Order: SVU can be seen on Wednesdays at 9 p.m. ET on NBC.